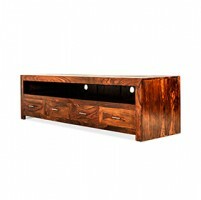 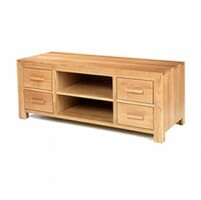 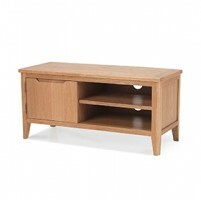 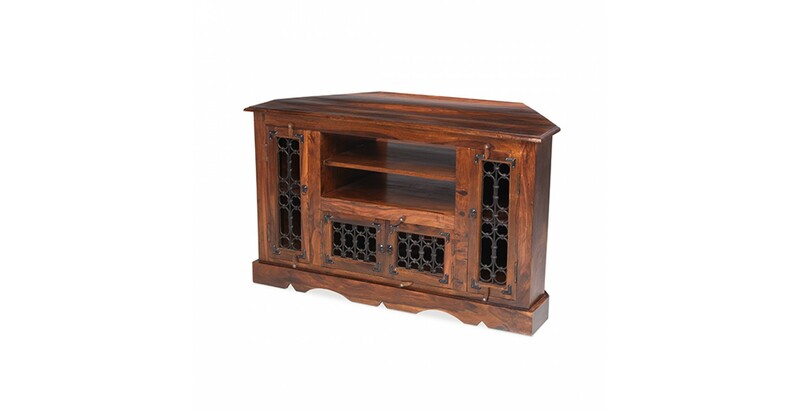 You might want to hide your TV away in a corner but this beautiful unit deserves to be admired. 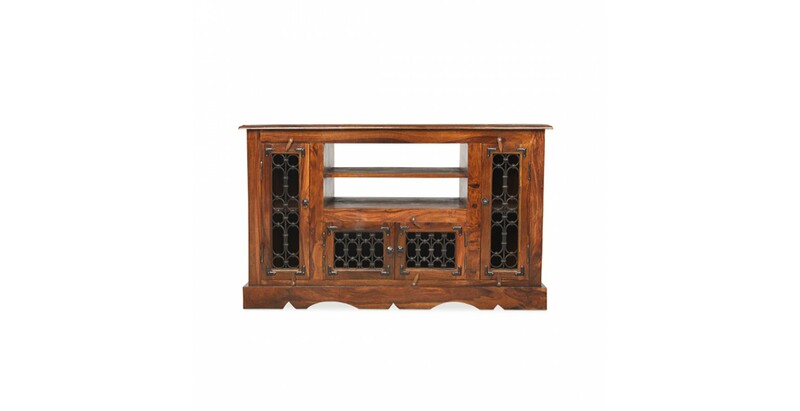 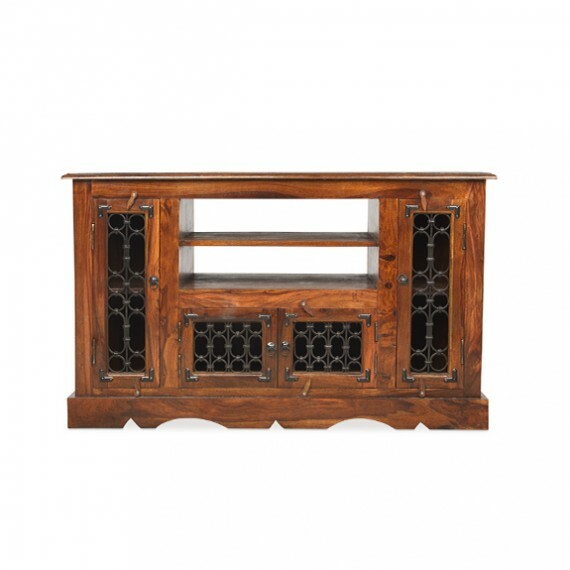 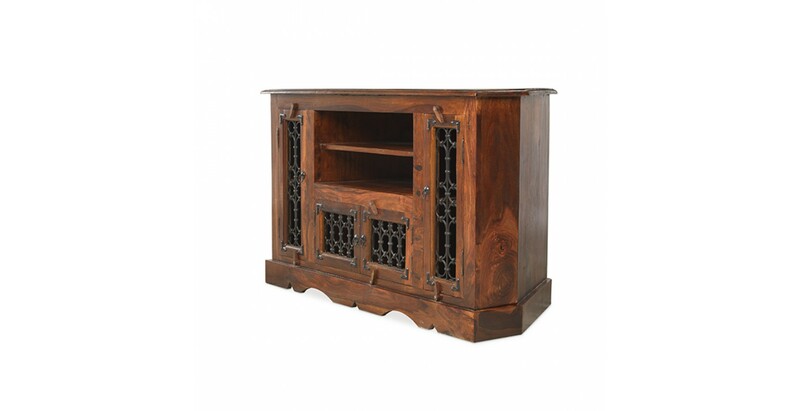 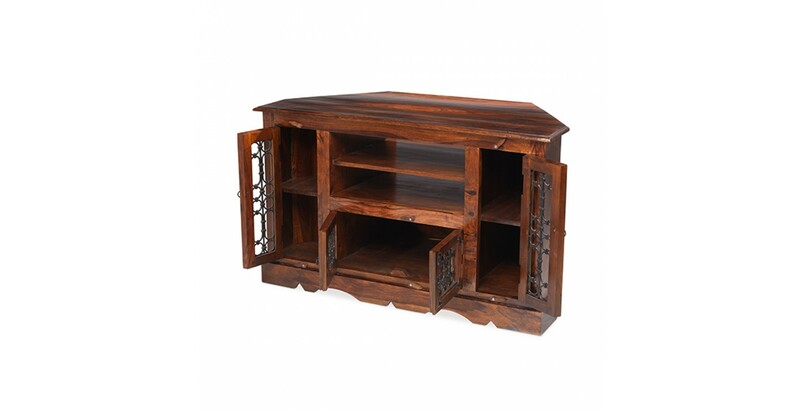 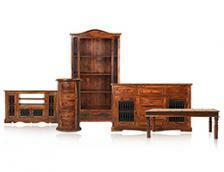 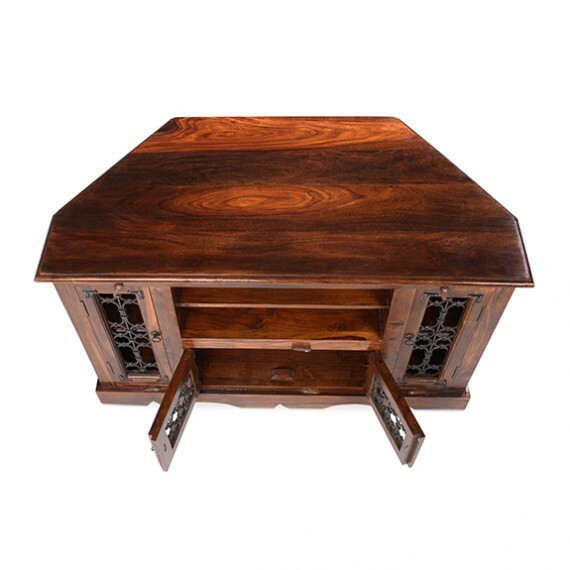 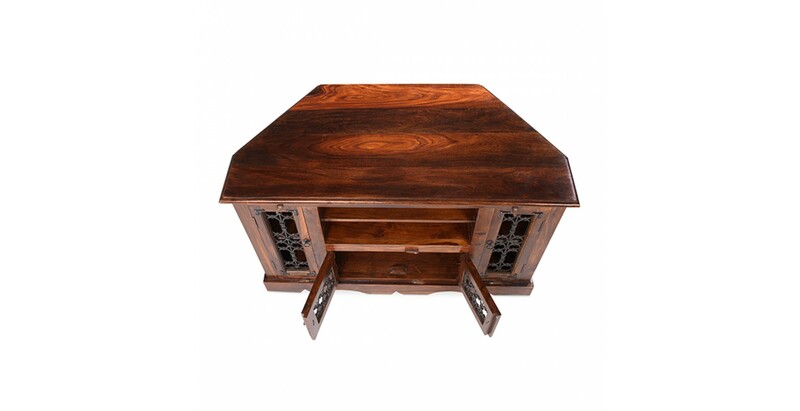 Rich with authentic detail, it's been crafted by hand from Indian sheesham wood. 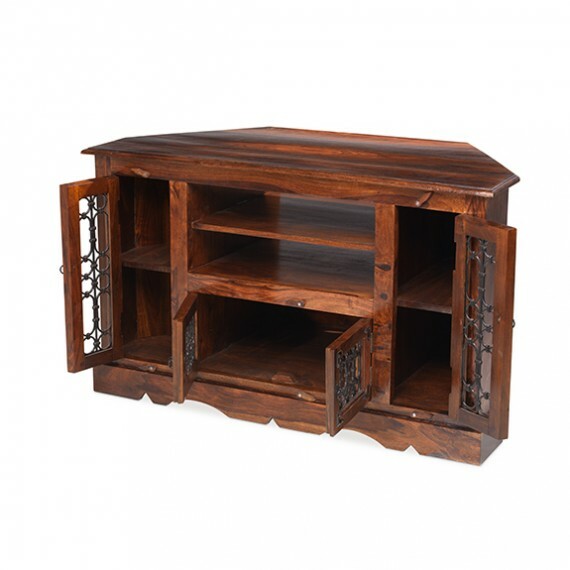 Attractive wrought iron portcullis work adorns the doors of the front and end cupboards, and there's characterful iron detailing on the corners. 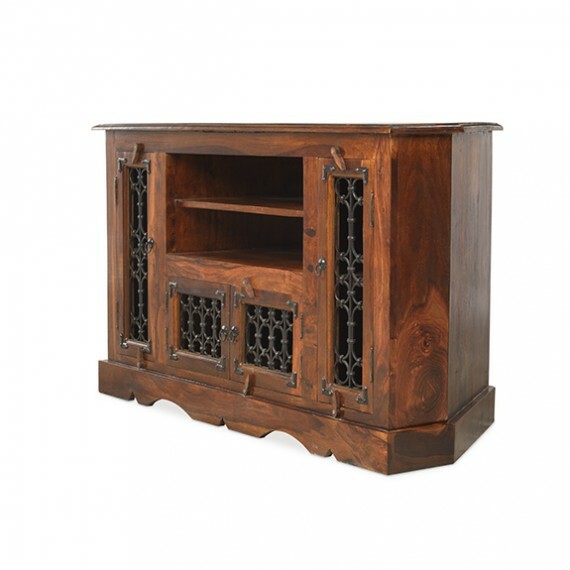 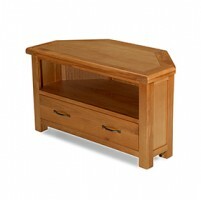 It stands on a sturdy carved plinth and wooden latches and metal ring handles also add to its appeal. 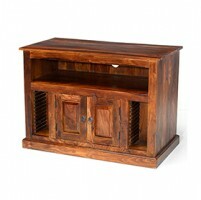 The surface is wide enough for a large TV and the two open compartments will house your media devices. 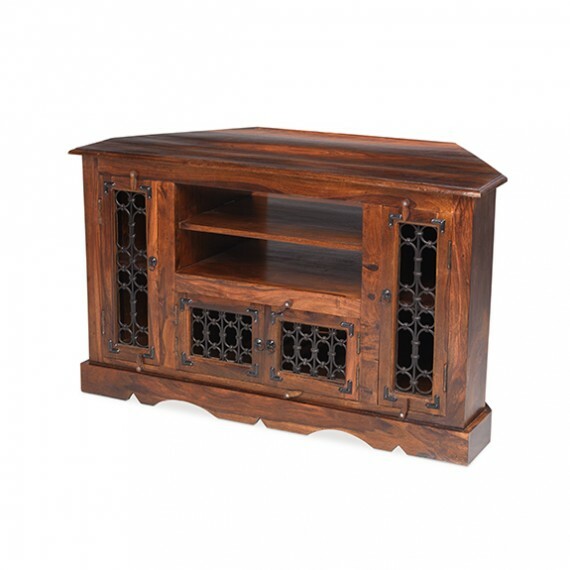 Bringing warmth to your space with its dark good looks, it's been given a Wax Lacquer Finish to lets its uniqueness shine through.